The online Residential Interior Design Education (R.I.D.E.) program is available to both aspiring designing individuals and interior designers who are wanting to increase their education, career opportunities, and professional status in the interior design industry. The R.I.D.E. certification trains new designers and increases the credentials for designers in current practice. This program will not only give you the basic skills and background you need to start working as an interior home designer, but the R.I.D.E. credential will also increase your status with potential clients. You will explore the cornerstones of professional design, discover how to plan both visually appealing and functional spaces, and study how interior design has evolved throughout history. This program will also provide you with an education on ethics that you can apply to your own practice. This resourcefulness of ethical standards will increase your worth as a designer and make you a stronger candidate in the industry. Upon completion of this program, you will take the Residential Interior Designer Exam (R.I.D.E.) as the final. Also after completion, you can qualify for benefits such as a free one-year Designer Society of America, or DSA designer membership and possible participation in a 40-hour internship, if you meet certain eligibility requirements. 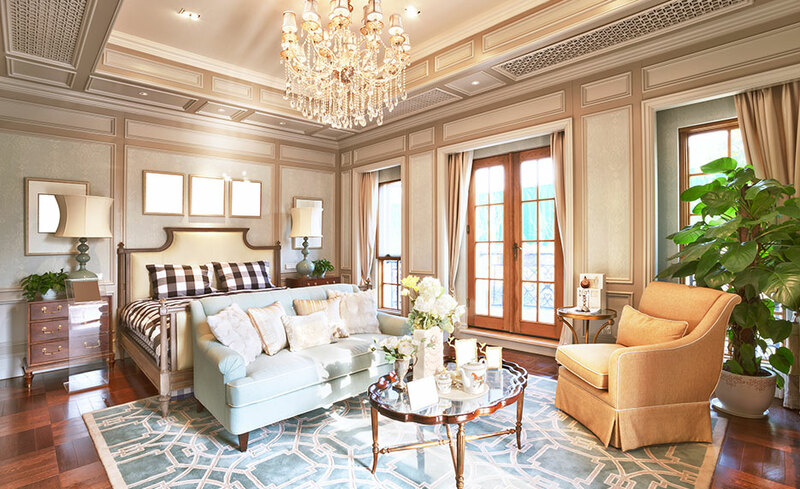 Understand what a residential interior designer does. Be familiar with major design styles and movements throughout history. Know how to manipulate the basic elements involved in residential interior design projects. Understand the steps required to work as a residential interior designer and start your own design business. Have experience creating a design concept and floor plan. This program will educate you on what our contemporary design aesthetic owes to the Ancient Egyptians, Greeks, and Romans, as you will explore historical design styles that influence design choices today. Investigate the elements of interior design such as materials, color, textiles, lighting, and accessories, and discover how to combine these elements to create the type of atmosphere that your clients desire. This program will provide you with insight on running your own design business and teach you the fundamentals and ethical practices involved in becoming a Residential Interior Designer. It will offer helpful information on establishing your business, networking with contractors and vendors, marketing, meeting with clients, and managing projects in an ethical and professional way. It will also provide you with skills that will prepare you to seek out clients and help them transform their interiors into satisfying spaces. The program offers useful documents and exercises to help you practice and develop your skills. For instance, you can compile the knowledge you gain throughout the course to create a floor plan and a complete design concept for a family room in your first big project. By the end of the program, you can use your design concepts in a profile to present to potential clients. Upon the completion of this program, you can take the Residential Interior Designer Exam (R.I.D.E.) through the Designer Society of America, or DSA. Once you achieve certification, you can qualify for a free one-year DSA membership, and you may be able to participate in an optional 40-hour internship, if you meet certain eligibility requirements. Upon registering, you receive six months to complete this program. The textbook Interior Design, by John F. Pile, is included in your tuition. You will also receive a free one-year membership in the Designer Society of America. You will need to have access to a digital camera and will need to know how to download digital photos to your computer. A high-speed Internet connection is also recommended. You do not need any interior design experience to participate in this program. You should, however, have a strong interest in interior design and a desire to learn. To complete your assignments, you will need access to a digital camera and a basic understanding of how to use it. Access to a digital scanner is also helpful but not required. Natasha Lima-Younts has worked in the field of interior design for more than 20 years. She graduated from Bauder Design College, where she studied both clothing design and interior design. She went on to found Gables Interiors in Miami, Florida, in 1991. In 2006, she moved to Albany, Georgia, and founded Gables Plantation Designs. Her work has been featured in magazines including Florida Architecture and Spectacular Homes, as well as on The View with Barbara Walters. She was also chosen as a "Designer for the Stars" for seven years in a row in Miami. In 1999, she founded the Designer Society of America (DSA) to create a sense of community among interior designers and help aspiring designers achieve their goals. Currently, she devotes most of her time to the DSA and works with clients when her schedule permits. Upon registering, you're given six months to complete this program. 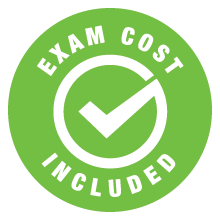 All the materials you'll need (with the exception of a few very inexpensive items for your project) are included, and their cost will be covered by your tuition. ed2go will ship all materials ground service upon enrollment. 10. How will I submit my family room project? Your project is to complete the floor plan and design concept for a family room. You do not need to actually execute your concept in a real interior. When you're ready to complete the program, you will follow the detailed instructions for completing your family room project presentation board. You will submit a written portion as well as several photos of your presentation board to your instructor. You may need to purchase some inexpensive supplies (foam core and mat boards, a cutting tool, and mounting materials such as foam tape or Velcro) to put your board together. You will not need to send the presentation board itself to your instructor—this will be yours to keep. 11. What does my free one-year membership in the Designer Society of America entitle me to? Design News Flash and Support, an all-member communication concerning the interior design industry, practice issues, and trends, sent every three weeks via e-mail. Invitations to chapter and region meetings, special events, and activities. DSA Web site access, with information and online versions of past DSA newsletters and publications. Discounted prices on national product lines and resources, with direct links (for members in U.S. and Canada). Invitation to DSA annual celebration, which features winners of the Interior Design Competitions and member awards. Reduced member rates for DSA-sponsored competitions and Residential Design Competition. Free membership in Pier 1 design concepts, Designer Trade Market, Williams Sonoma Home, Pottery Barn, program for DSA members. Tele-seminar and webinar annual schedules. DSA logo upload (member-only section) and appellation. Use of DSA professional designation. Discounted advertising rates in DSA publications and on the DSA Web site. Networking opportunities through chapter and motivational task forums. Personal 80-page portfolio for designers to exhibit their work. Trade center locations and information in resources. Hotel and resort discounts during meetings. Member advantage program to promote members’ success. Facilitator was very helpful, greatly and enthusiastically sharing her knowledge and experience. I appreciated the ease of navigating through course, the depth of info of the course. The facilitator was very helpful, offered advice and feedback that was informative and useful. Great overall experience! My instructor was very supportive and kind throughout the program. The course was very instructive and support was always there when I needed it. Natasha was amazing! I live in Zhuhai, China and she was understanding and helpful the entire way. This is the first time I have taken an online course and I must say I was very lucky to have such a wonderful, caring, supportive facilitator as Natasha. She is a gem! The Residential Interior Designer course was a wonderful experience for me. I am a person who already has three years of college in an unrelated area of study and am wanting to enter the interior design field. The instructor, Natasha Lima-Younts, was extremely helpful; she was eager to share her professional knowledge and experience. I greatly appreciate the level of enthusiastic support and the personal and prompt attention offered cheerfully to a student in every turn. I particularly enjoyed the way the course was written -- in a spirit of friendliness and optimism -- and still so informative, yet easy to read. The included textbook serves as a valuable addition to the course, with a vast source of comprehensive information. I would recommend this course to any residential interior designer. “I entered the 13th Annual Northwest Design Awards contest back in the fall sponsored by Seattle Design Center. In the student category I won the 1st or 2nd place! At the award ceremony they will tell me which one. Thank you ed2go! Thank you so much for your feedback, it has meant a lot to me, and I'm grateful for the time you have taken to point me in the right direction and encourage me! I greatly enjoyed the set up of the program, very easy to understand and follow. I cannot say enough good things about my facilitator, she was absolutely amazing. I have and would recommend this program to many more people in the future. Y'all are doing a wonderful job. Thank you for creating such a great program!